In the Air Force, it's up to maintenance management analysts to oversee costs and efficiencies associated with missions and operations. It may not sound like the most thrilling job in the Armed Forces, but these airmen keep track of budgets and schedules, so not much would be able to happen without their expertise. The Air Force categorizes this job with code 2R0X1. These airmen monitor, collect and audit information used in reports and briefings. They initiate special studies and investigations and perform statistical analyses, and report findings to superior officers, with their recommendations. It's up to maintenance management analysts to inform their managers of any significant factors that may affect a mission. They're also tasked with collecting and evaluating mission information systems (MIS) and related data. From time to time, they may audit MIS source data for accuracy and compliance. These airmen also interpret data for trends and deviations and make recommendations for corrective action. They analyze deficiencies in areas such as equipment performance, materiel consumption, scheduling, management, and resources, and the results of any corrective actions that may need to be taken. And they prepare written reports and special studies, presenting recommendations and briefings to senior managers. A composite score of 55 on the general (G) Air Force Qualification Area of the Armed Services Vocational Aptitude Battery (ASVAB) tests is required for this job. Airmen in this job must be U.S. citizens and as with most Air Force jobs, normal color vision is required. 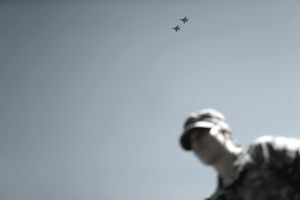 Since those who serve in this job handle potentially sensitive information about Air Force missions, a secret security clearance, which involves a background check of character and finances, is required. A history of drug or alcohol abuse may be disqualifying for this clearance. After 7 weeks of basic training and Airmen's Week, airmen assigned to this role will spend 56 days in technical school training at Sheppard Air Force Base in Wichita Falls, Texas. They will learn about maintenance and operations organization management and the specific procedures concerning aircraft, missiles, communications-electronics, and space systems. They'll also learn applied statistical, analytical data systems design procedures, and concepts and application of directives. Ideally, airmen in this role will be computer literate and will have completed high school with courses in algebra, English composition, and writing. Although much of what they do is specific to the Air Force, these airmen are qualified for a variety of non-military jobs. The training they receive will prepare them for work as project managers across much of the private sector. They'll also be suited to pursue careers as accountants, but this requires additional training and licensure depending where they live. Airmen in this role will likely be able to find civilian work as managers or site foremen, overseeing large projects and keeping track of materials, personnel, and budgets. What Do Air Transportation Personnel Do in the Air Force?